Winter is here. We have been lucky to have such a mild autumn but this month marks the beginning of winter and colder weather. It can be hard to feel gratitude for the cold and wet of winter but without the rainy days nothing would grow and bushfires would be more prevalent in summer. It can be hard some days to have or feel a sense of gratitude when everything seems to be going wrong but there is always something to feel gratitude or appreciation for if we take the time to look. 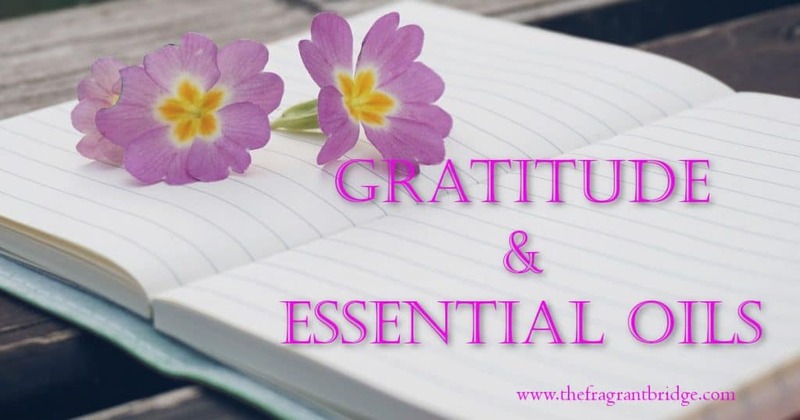 There is no need to write long gratitude lists. Simply take a few minutes out of your day to express gratitude or appreciation for something you have no matter how small. 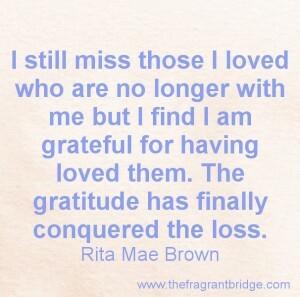 You may also like to express your gratitude or appreciation to someone for being in your life. Here in Australia everyone has ready access to clean water no matter how poor they maybe. 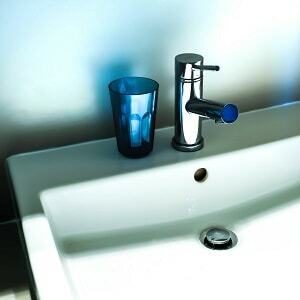 For most people it is only necessary to turn on their kitchen tap to have instant running water. In some countries, people usually women or children need to walk kilometres to access and carry back drinking water that may contain harmful viruses or bacteria. Having a roof over your head and somewhere you can sleep and feel safe is another reason for gratitude. There are still too many people who are homeless and sleep in the streets or have a home but don’t feel safe in it for one reason or another. Having a job or source of income so you can feed yourself and your family is something that not everyone has. In some countries the person may have a job but make barely enough to feed themselves let alone their family. There are many more reasons for feeling grateful for what you have in your life. Perhaps you can think of three. 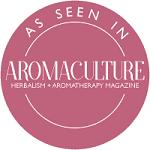 Having friends and family who support you in your endeavours, having a garden you can enjoy, being healthy or having ready access to medical help if you’re not, knowing about and using essential oils. Here are eight essential oils you may like to use in your gratitude practice. Bergamot (Citrus bergamia) helps you through the dark times in your life. She also helps you to see and be grateful for the lessons learnt, for they have helped you to grow into the strong person you are now. 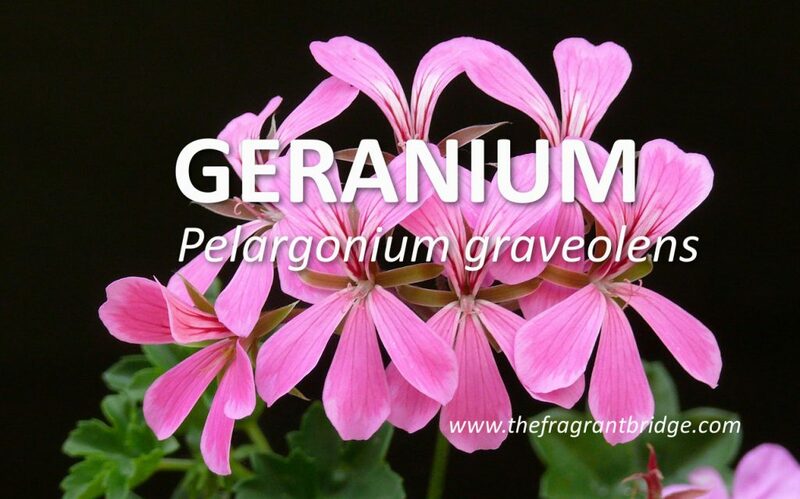 Geranium (Pelargonium graveolens) brings a sense of security and strength allowing you to see and feel grateful for all you have rather than continually working without a sense of balance in your life. German chamomile (Matricaria recutita) can help you let go of fixed expectations that prevent you feeling gratitude in the now for all that you have. Grapefruit (Citrus paradisi) brings a sense of lightness and gratitude. She also helps you let go of unrealistic high expectations for yourself and others which can stop you from feeling gratitude for what you have and disappointment over what you don’t have. Juniper (Juniperus communis) cleanses the negativity that maybe surrounding you allowing you to feel more joy and gratitude for the help and resources you have available. Mandarin/Tangerine (Citrus reticulata) reminds you to take time out for play and not be overwhelmed by your responsibilities or the continual need to work or worry about what you don’t have but rather enjoy what you do have in this present moment. Rose (Rosa damascena) reminds you that you are unconditionally loved. She helps heal emotional wounds and scars. She nurtures a sense of gratitude for the love you have in your life even if you cannot always see or feel it. Sandalwood (Santalum album) brings a sense of gratitude by calming your fears and worries and allowing you to see all that you have and what is really important to you. You may like to combine two or three of these oils and place 6-8 drops in a diffuser or vaporiser or add 10-20 drops of essential oil to a 100 or 125 ml bottle of distilled water, flower water or hydrosol. Shake the misting bottle well before spraying and take care not to get water or the mist on any furniture or furnishings that can be damaged or stained by the water or essential oils. If you would like your own personal blend for this or any other issue feel free to contact me and discuss it. This entry was posted in Essential Oils and tagged appreciation, bergamot, geranium, German chamomile, grapefruit, gratitude, juniper. mandarin, rose on June 7, 2017 by Carole Hodges. The end of an old year and the start of a new one is just one of the many endings and beginnings that are occurring throughout your life. In a few months summer will end and autumn will begin. As with many endings and beginnings the change maybe so gradual that we may not notice that we are in a new phase or time of life. In your own life you have been through many endings and beginnings, You may have gone to preschool and then primary school, high school and possibly university, TAFE or college and then into the workforce. Each stage an ending and a beginning at the end of which you were no longer the same person you were at the beginning. You were a child with a child’s beliefs and ideas in preschool and primary and now you are an adult with adult responsibilities. During your life you may lose parents, children, siblings and close friends. You mourn their loss and must find a new way to go on, a new beginning without them. Your parent may not physically die but may be lost to you through Alzheimer’s and so your way of relating to them and them to you is ended and you have to find a new way to continue the relationship. Endings and beginnings happen every day for example, finishing one project and beginning another or coming to the end of one journey and beginning another. Changing your way of thinking can also signal an ending and beginning. Deciding to stop eating unhealthily, that you will no longer accept being treated with disrespect, changing your beliefs about yourself and what you are capable of will all lead to new beginnings. Remember that sometimes what can seem like a terrible ending opens the door to something more wonderful. For example you lose your job only to get another that is higher paying and gives you the chance to excel. 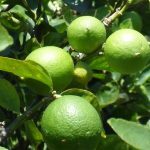 Bergamot (Citrus bergamia) can help when you feel you have lost your way. She is the light at the end of the tunnel. Cedarwood (Cedrus atlantica) helps you to stand firm when there seems nothing but chaos around you. 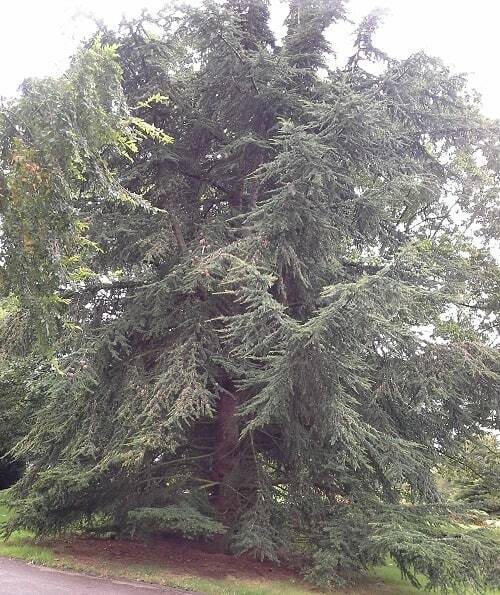 Cypress (Cupressus sempervirens) is ideal when going through emotional and physical change. She helps you to grieve losing the old while accepting the new. 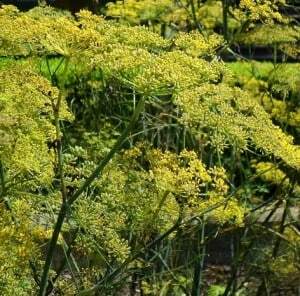 Fennel Sweet (Foeniculum vulgare dulce) helps remind you that as one door closes another opens. 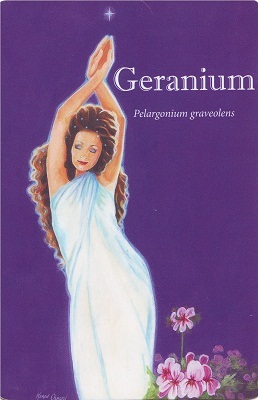 Geranium (Pelargonium graveolens) helps you to rebalance and relax especially when going through stressful endings. Juniper (Juniperus communis) is psychologically cleansing and purifying helping to support you when going through challenging endings and beginnings. Kunzea (Kunzea ambigua) helps to ease the emotional pain you may feel during this period. Lavender (Lavendula angustifolia) will nurture and nourish you emotionally during this period. Marjoram (Marjorama hortensis) helps ease any anxiety you may be feeling. Rose (Rosa damascena) provides compassion for yourself and others who may be going through these times with you. 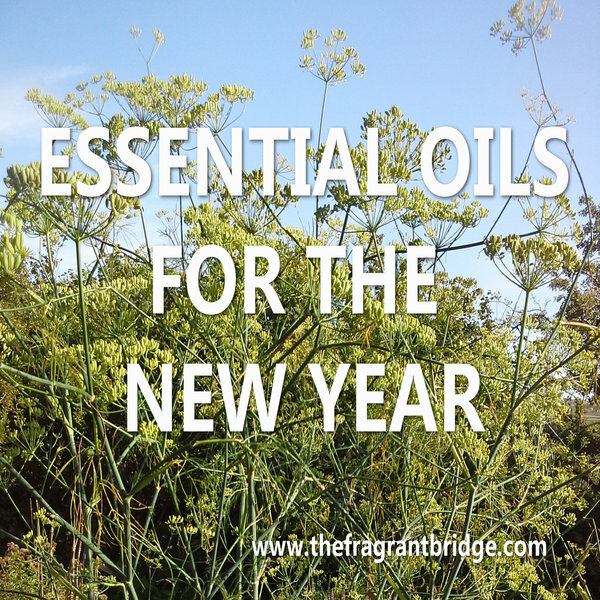 This entry was posted in Essential Oils and tagged beginnings, bergamot, cedarwood, cypress, endings, essential oils, geranium, juniper, kunzea, lavender, marjoram, rose, sweet fennel on January 4, 2017 by Carole Hodges. 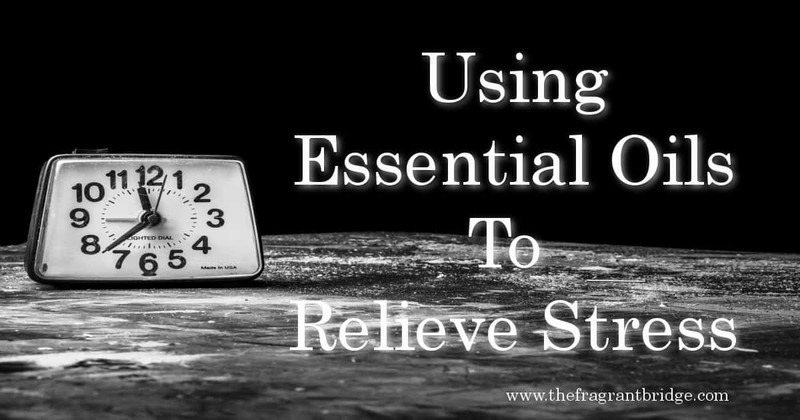 Essential oils are an easy and pleasant way to help you cope with the symptoms of stress. 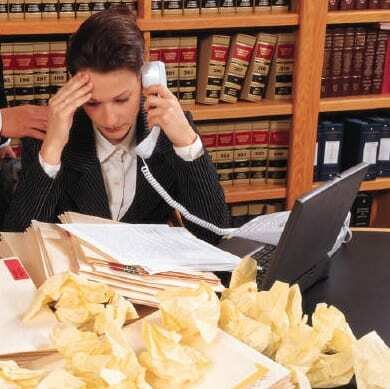 Stress is a state of mind, usually accompanied by physical and emotional symptoms. We all experience stress at some time in our lives. As we are all unique, what acts as a stressor to one person, may not cause any reaction in another. Stress can be caused by work pressures, boredom, family issues, finances, school or university exams, the death of a loved one or something as simple as being caught in a traffic jam. Stress can lower your resistance and increase your susceptibility to illness, especially if it is allowed to continue for long periods of time. Stress can cause muscular pain, especially in the neck, back and shoulders, high blood pressure, chronic headaches, weight loss, anxiety, insomnia, lethargy, shallow breathing, loss of appetite, difficulty concentrating, loss of your sense of humour and mood swings. To avoid the many health issues associated with stress, it’s important to take appropriate action on a regular basis, to release stress physically and emotionally. Essential oils are a safe and effective treatment to help you cope with stress. They help boost your mood, energise you and can help ease muscle tension and pain. Massaging with essential oils is one of the best ways to calm the mind and release muscular aches and pains. A monthly aromatherapy massage works wonders in keeping your stress under control. If you suffer from headaches and don’t have time for a professional massage, self-massaging with essential oils, especially to the neck, shoulders and the scalp can be very helpful . 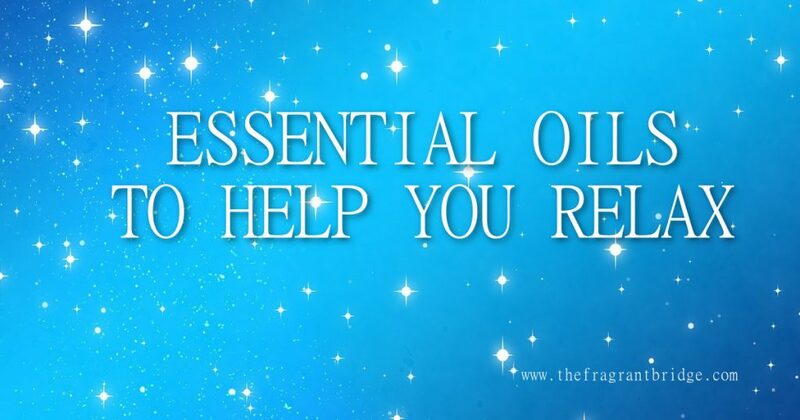 Add 1 drop of essential oil to 2 mls of vegetable oil or 5 drops of essential oil to 10mls of vegetable oil. 6-8 drops of essential oil can be used in a warm bath to help ease tired muscles and calm the mind. Run the bath, add the oils and swish the oils in the water. The oils will sit on top of the water. If you want to disperse the oils through the water, place the drops of essential oils in a cup of full cream milk and add to your bathwater. Alternatively, after showering place 4-6 drops of essential oil on a face cloth or sponge and rub the cloth briskly over your body. Allow your feet to soak in a foot spa to which 4-5 drops of essential oil have been added. Following up with a foot massage will help relieve your aching feet, as well as your stress. Placing 4-6 drops of essential oil into a diffuser can help calm or liven up your mood. Using essential oils such as lemon and orange can also help increase your appetite if stress has caused a loss of appetite. Finally, you can wear your essential oil blend as a perfume. To create this blend, just follow the same steps as described above for massage. Although there are many oils that can be used to help with stress, the following oils are readily available and relatively inexpensive. To ease muscular aches and pains, helps to calm the mind and restore a positive outlook and vitality. To help with anxiety, slows down breathing, calming and centring the mind. For lethargy, chronic anxiety, eases frustration and irritability, nervous exhaustion due overwork and stress. Lavender is one of the most useful oils for stress. She calms and soothes the nerves, relieves tension both muscular and emotional. She helps with stress headaches and insomnia. Lavender is considered an aromatic rescue remedy helping to relax the body and mind and is useful for panic and anxiety attacks. Poor appetite, nauseous headaches, tension, insomnia, eases frustration, moodiness and irritability. Insomnia, anxiety, nervous exhaustion, calming and uplifting, poor appetite. Enhances concentration and study, apathy, mental and physical fatigue, uplifts the spirit. Here are some blends to get you started. Enjoy making your own combinations using your favourite essential oils. Lavender 2 drops, palmarosa 2 drops, geranium 1 drop in 10mls vegetable oil for massage or in a diffuser to vaporise. Eucalyptus 3 drops, lavender 2 drops, rosemary 1 drop in 10mls vegetable oil for massage. Lavender 2 drops, geranium 2 drops, sweet orange 1 drop in 10mls vegetable oil for massage. Massage neck, shoulders and temples with the blend. You can then massage the scalp without the blend if you wish. Peppermint 2 drops, sweet orange 2 drops in 10mls vegetable oil massaged into the stomach area. Peppermint 2 drops, eucalyptus 2 drops, rosemary 2 drops in a diffuser. I am available to do aromatherapy massages on Wednesdays, Thursdays and Saturdays in Padstow. Phone or email for an appointment. This entry was posted in Essential Oils and tagged anxiety, eucalyptus, frankincense, geranium, lavender, palmarosa, peppermint, Roman chamomile, rosemary, sore muscles, stress, sweet orange on December 7, 2016 by Carole Hodges. 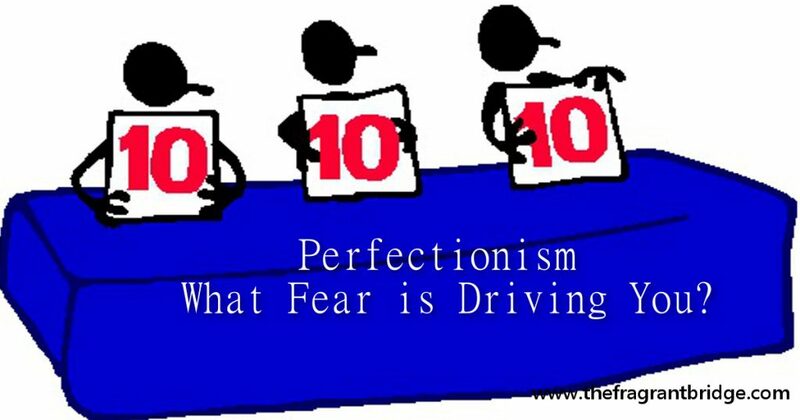 Perfectionism – What Fear is Driving You? At its root, perfectionism isn’t really about a deep love of being meticulous. The above quote from Michael Law sums up what is at the heart of perfectionism. It’s about fear in all its forms. Fear of rejection, fear of not being good enough or knowing enough, fear of doing it wrong or being wrong can be added to the above list. The perfectionist fears what others may think of them if they don’t get it right and expends a lot of energy trying to be perfect. In some cases they may not even know the person or people they are trying to impress. For example they may have to dress perfectly, have not a hair out of place and make up just so before they can run out the door for a quick trip to the shops. 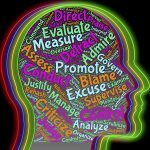 The perfectionist is always judging themselves as not being good enough and may have high standards for themselves and for others. Standards that are impossible for themselves and others to live up to. They then feel let down by others and themselves when those standards are not met. They may become angry, frustrated, critical and blame others and perhaps feel depressed and guilty that they can’t live up to these self-imposed impossible standards. They may lash out at others and then feel guilty. Their moods may drive others away leaving them feeling alone and perhaps abandoned. Perfectionism can also be about control. Controlling how others feel about them and in some cases controlling others. Wanting others to do something perfectly can be a form of control. Always wanting to do something yourself and not allowing others to try can be a form of control. For example, showing someone how to do something at work and then taking over again because they don’t do it to your exacting standards. Perfectionism can also be a form of procrastination. You may give up and not even start because you feel that you will never get it perfect. You may start but never complete the project because you need to keep on trying to find or do the one thing that will make it perfect in your eyes when for everyone else the project is finished or fine as it is. You may push yourself and try to over achieve in your quest for perfection ignoring your own needs and those of your family and friends. You focus on what’s wrong and the negative aspects rather than what’s right. You spend time on perfecting a project at the expense of your relationship with your family, friends and your health. When all you can see is the negative it’s time to change your perspective and see what’s good in your world. It can also be time to get another’s perspective on what’s great about your life or project. Perfectionism is about your ideas of how things should be and your beliefs surrounding them. Is there a should in your life that you can let go of? Can you lower your expectations a bit? What would happen if you did? How has being a perfectionist benefited you? There is always a benefit. Take the time to carefully consider the benefits and if the time and energy you are putting into being a perfectionist or doing something perfectly is worth it. Finally consider this. It is often our perceived imperfections that people love. What do people love about you? If you don’t know, ask. Use one or a blend of the following essential oils in a vaporiser, massage or anointing oil to help you with your issues surrounding perfectionism. Grapefruit (Citrus paradisi) – to help you with your high expectations of yourself and others and the feelings of guilt, frustration and blame surrounding them when they are not met. If you comfort eat grapefruit can be helpful. 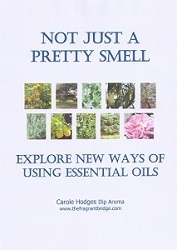 This entry was posted in Essential Oils and tagged control, fear, geranium, grapefruit, juniper, perfectionism, teatree on August 3, 2016 by Carole Hodges. Sometimes we can find it hard to relax. There can be various reasons for this including being very stressed, studying for exams, tired and aching muscles, being anxious and not sleeping well. Essential oils can help you relax, ease tense muscles and get a good night’s sleep. BERGAMOT (Citrus bergamia) helps you to release feelings of anger, sadness and frustration that may be keeping you feeling tense and unable to relax. ROMAN CHAMOMILE (Anthemis nobilis) helps you release tension and relax. 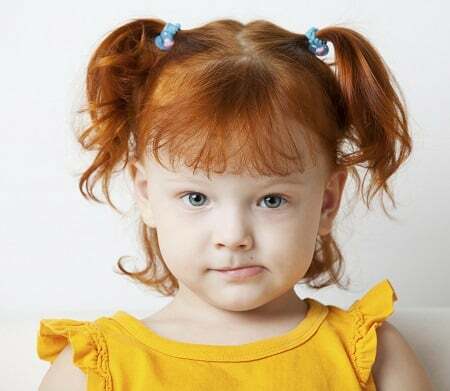 She is gentle enough to use on children who are finding it difficult to sleep. CLARY SAGE (Salvia sclarea) helps to bring clarity allowing you to relax when you are feeling nervous, burnt out or mentally fatigued. EUCALYPTUS (Eucalyptus radiata) can help when you are feeling trapped by circumstances. She gives you space to breathe and reassess the situation. FRANKINCENSE (Boswellia carterii) slows and deepens your breath giving you the space to relax. 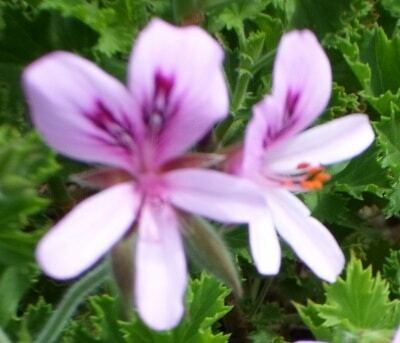 GERANIUM (Pelargonium graveolens) helps to balance your emotions, ease frustration and calm the mind. GRAPEFRUIT (Citrus paradisi) helps when you’re feeling drained, burnt out or frustrated. Like all citrus she uplifts and refreshes the mind. LAVENDER (Lavendula angustifolia) is a first aid oil to help soothe your emotions and bring a feeling of relaxation. LEMON (Citrus limonum) clarifies and uplifts your mind allowing you to think more calmly and rationally. LIME (Citrus aurantifolia) is another oil for releasing stress and helping you to keep calm. MARJORAM (Marjorama hortensis) helps stop those thoughts that are on a continuous loop in your mind. Eases anxiety allowing you to relax. PALMAROSA (Cymbopogon martini) is useful when you feel restless, anxious and unable to sleep. PATCHOULI (Pogostemon cablin) is a very grounding oil that brings a sense of peace. 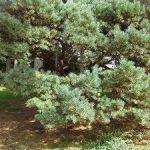 PINE (Pinus sylvestris) can help you set boundaries if you are saying yes to everyone at the expense of yourself. AUSTRALIAN SANDALWOOD (Santalum spicatum) very relaxing and meditative oil. VETIVER (Vetiveria zizanoides) helps to centre and ground you when feeling mentally exhausted. YLANG YLANG (Cananga odorata) helps bring a sense of peace and tranquillity when you are feeling angry, frustrated or unable to think clearly. There are many different ways you can use essential oils. Using a diffuser or vaporiser is a good way to create a relaxing atmosphere. Use 6-8 drops of pure essential oils in your diffuser or vaporiser. Do not use oils diluted in vegetable oils here as the essential oils will not diffuse well and can leave a mess in your vaporiser. Direct Inhalation – This is one of the easiest ways to experience essential oils. Simply open the bottle and sniff. 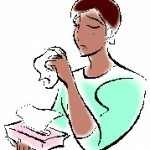 You can also put one or two drops on a handkerchief or tissue. Alternatively put a few cotton balls into a small bottle such as a used essential oil or tablet bottle add 2 or 3 drops of essential oil, close the bottle. When you need to smell the essential oil simply open the bottle and sniff. The aroma will last a long time. This is useful for people with anxiety who may use a particular oil to calm them down. Adding a drop or two of lavender, marjoram or frankincense to a tissue and placing that in the pillowcase or next to your pillow can help bring a peaceful nights sleep. Personal Inhaler – Add 15 to 20 drops onto the cotton pad replace the cap. Remove the cap and hold below your nose and inhale deeply. Replace the cap after each use. Add 6 to 8 drops to half a cup of full fat milk and then add that to the bath water and swish the water around before getting in. By adding the milk you help the oils disperse through the water instead of sitting on top. Make your own unique perfume by adding up to 7 drops of essential oil to 10mls of jojoba or a cold pressed vegetable oil. Massage is a very enjoyable way to relax. Use 10 to 12 drops in 25 mls of cold pressed vegetable oil. For sensitive skin 5 to 7 drops is enough. Massage is wonderful for relieving muscle aches and pains, stress and nervous tension. Misters can be good for creating a relaxing atmosphere as well as relaxing yourself. Add 10-20 drops of essential oil to a 100 or 125ml bottle of distilled water, flower water or hydrosol. If you have some sobuliser mix the oils with that before mixing with the water, as the sobuliser will help the oils disperse throughout the water. If you don’t have any sobuliser make sure you shake the misting bottle well before spraying. Also take care not to get water or the mist on any furniture or furnishings that can be damaged or stained by the water or essential oils. This entry was posted in Essential Oils and tagged bergamot, clary sage, eucalyptus, frankincense, geranium, grapefruit, lavender, lemon, palmarosa, patchouli, pine, relax, Roman chamomile, vetiver, ylang ylang on June 15, 2016 by Carole Hodges. Everything is handsome about the geranium not excepting its name. Geranium essential oil is a popular oil that is used in a lot of skin care products to give them a rosy smell. Although many people think that the oil comes from the red geraniums seen in hanging baskets and gardens she actually comes from another variety. Plant: A perennial shrub growing to around 1.5 metres. It has large green hairy fragrant pointed leaves which contain most of the essential oil glands. The flowers are small and pink and don’t produce any oil. 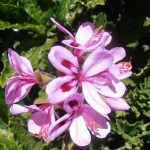 Interesting snippets: It has been said that the first geranium blossom grew from a hedge on which Mohammed had hung his shirt to dry after washing it in a stream. The first plant was collected in South Africa in 1672 and introduced into England and Europe in 1700. Plants and cuttings were then sent wherever there were English and European colonists. Geraniums grown on Réunion Island have a rosy aroma which occurs nowhere else. Part of Plant used /Extraction: Steam distilled from freshly harvested leaves. A complete distillation takes around 1½ hours. Therapeutic actions: Helpful for eczema, psoriasis, skin abrasions and shingles. She acts as a balancing oil particularly in women when their hormones have become out of balance. Emotional and Spiritual: Anxiety and emotional stress. Geranium can bring a sense of renewal if you are beginning something or leaving something behind to begin again. Valerie Ann Worwood writes that when the Spirit is hidden like a frightened child within, geranium offers its warm hand of comfort, opening our hearts and memories and healing the pain. Re-balancing the extremes of life, emotionally “up” one minute and “down” the next. Geranium is essential for the workaholic perfectionists in life. 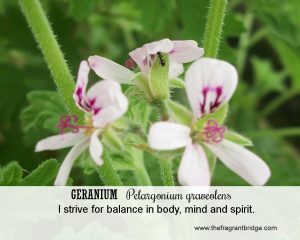 Geranium delivers balance and symmetry to all areas of life. Time to remove the should’s and do what you truly want to do. Balance your logical, analytical workaholic self with the emotional, spontaneous, fun person you used to be and want to be. 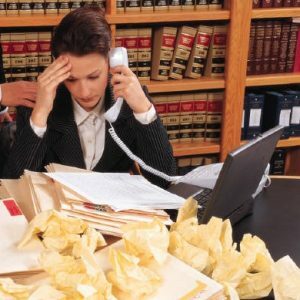 All work and no play makes us all stressed in some way. Contemplations for the Soul Card: Are you feeling stressed with too much work and no time for play and to enjoy yourself? Do you feel like you’re on an emotional roller coaster up one minute and down the next with no time to take a breath between the highs and lows? Are you able to give but not receive? It’s time to regain some balance in your life. Understand that both work and play are essential to the health of your body, mind and spirit. If you are feeling stressed by your work make time today to take time out to play or enjoy yourself. Do something that brings you joy. Learn to both give and receive to bring more balance into your life. 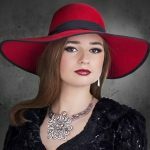 This entry was posted in Essential Oils and tagged balancing oil, eczema, geranium, psoriasis, stress, workaholic on June 8, 2016 by Carole Hodges. “You can only start from where you are and you can only begin in the present”. 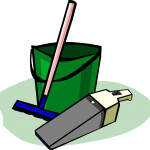 In the Northern hemisphere it is spring and people are thinking about doing spring cleaning but you can also do the same here in the Southern hemisphere clearing out what you no longer want or need on a physical as well as a mental and spiritual level. The following essential oils can help. Bergamot (Citrus bergamia) is helpful for reflecting on what you wish to release. She can help release repressed emotions bringing in light and happiness. 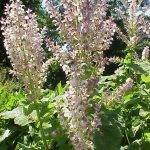 Clary Sage (Salvia sclarea) brings insight and clarity when you are not sure what needs to be released. German chamomile (Matricaria recutita) helps you let go of emotional worries, habits and beliefs that no longer serve you. Clove (Eugenia caryophyllata) helps you release clutter on all levels so that you can open up to new experiences and possibilities. Cedarwood (Cedrus atlantica) gives you the strength and courage to let go of what is no longer useful in your life whether physical, mental or emotional. 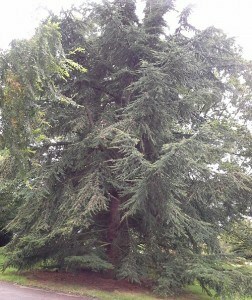 Cypress (Cupressus sempervirens) helps support and protect you during this time of transition. Fennel Sweet (Foeniculum vulgare dulce) helps you complete what needs to be done so that you can begin the next stage or cycle afresh. 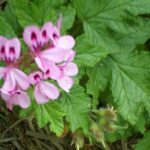 Geranium (Pelargonium graveolens) helps you to rebalance during this time of letting go of the old and bringing in the new. Lavender (Lavendula angustifolia) reminds you to nurture yourself during this time and to forgive what needs to be forgiven. Choose up to 3 oils that seem most appropriate for you and make a blend to either vaporise or wear. If you are doing a lot of emotional clearing you may wish to make a blend to put on your solar plexus chakra. Use up to 2 or 3 drops of essential oils in total in 10mls of cold pressed vegetable oil and massage into your solar plexus while saying the following fragrant change affirmation. This entry was posted in Essential Oils and tagged bergamot, cedarwood, clary sage, clove, cypress, emotional clearing, geranium, German chamomile, releasing, sweet fennel on March 2, 2016 by Carole Hodges. We all go t hrough periods of grief and loss in our lives. When thinking about grief and loss you may equate it with the death of a partner, parent, child, close friend, relative or even a beloved family pet but there are many events in your life where you experience loss. Some examples include the loss of a job or career, the loss of your home due to fire or being unable to pay the mortgage or because the owner of your rented house or apartment wanted to tear it down, renovate or sell it. You may go through a relationship breakup or divorce. You may face a loss of identity due to the amputation of a limb or your children growing up and leaving home. You may also grieve the loss of a dream that can never come true, for example finding out that you can never conceive a much longed for child. With loss you lose hope or what is familiar and must embark on a new life in the unknown. 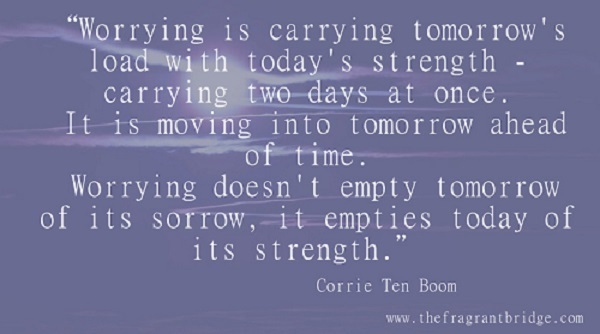 It can take time to grieve for what you have lost especially if it was someone, thing or place that was deeply loved. 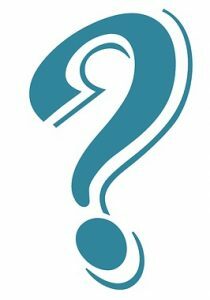 Losing your sense of self can also take time to process and heal as you mourn the loss of a limb, breast, being a mother, father or carer or even leaving behind a life of drugs and/or alcohol for an addiction free life can result in your questioning who am I now or what do I do now? All life is transition and change and it is how you deal with these losses that shape your life. Some you can pass through very quickly but others will take more time to process. Each person experiences loss and grief in their own way and must be given the time and space to express themselves. Grief expresses itself in many different ways including but not limited to anxiety, fear, sadness, despondency, tears, guilt, anger, frustration, numbness, remorse, blame, regret, withdrawal, worthlessness, stress and depression. You may do things that seem out of character for you. You may lose your appetite or eat continually trying to fill the void of what has been lost. You may sleep too much or be unable to get to or stay asleep. You may lose your hair or notice skin changes due to stress and anxiety. In Chinese medicine grief is considered to be the province of the lungs and so six months to a year after the loss you may suffer from lung related issues like flu, bronchitis or pneumonia. If the loss was sudden and unexpected you may be in “what if..?” mode or regret the things you might have said or done or not said or done if you had known what was about to happen. 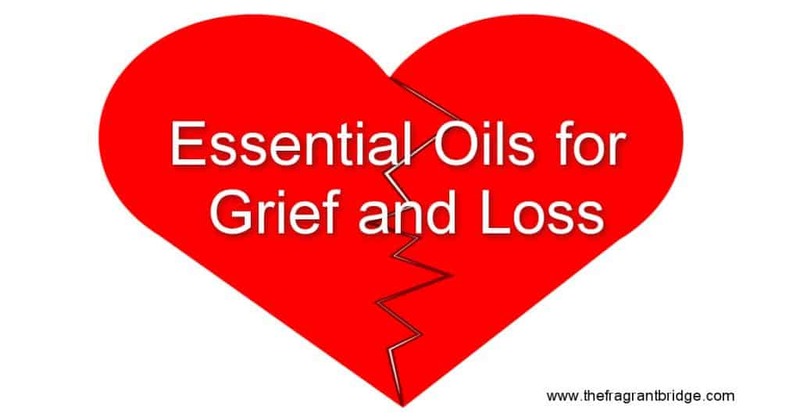 The following essential oils can help ease you through the grieving process allowing you to move on with your life. It is important when choosing which oils you will work with to keep in mind that aromas can be associated with a particular memory and to perhaps not choose a blend that you will use in the future which could be associated with your present loss and its painful memories especially in the case of the death of a loved one. Bergamot helps to soothe your feelings of anger, frustration and blame. She helps you see the light at the end of the tunnel and bring a sense of joy back into your life. Don’t apply to skin that will be exposed to sunlight within 24 hours as bergamot is phototoxic. Cedarwood gives you the courage and strength to hold firm in the midst of crisis and know that you will get through this. Roman Chamomile helps you to feel at peace with the way you are feeling and soothes your feelings of being abandoned by the one you loved. 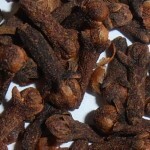 Cinnamon helps to dispel the numbness and isolation you may be feeling. She is emotionally warming and can help you regain your passion and purpose for life. Cypress is calming at times of transition and when difficult changes need to be made. She helps you to move on in your life. Frankincense helps to calm and centre you when your mind seems to be overwhelmed with thoughts of what must be done or should have been done. She slows and deepens your breath so you can think more clearly. She can help you break free of the past. Geranium helps to even out the emotional roller-coaster you seem to be on. She brings a feeling of calm strength, security and balance and soothes feelings of anger, frustration and irritability. Grapefruit helps dispel the anger, frustration, blame and depression. She brings a sense of optimism that you will get through this time of loss. Kunzea helps to release the shock and pain of your loss and to know you are safe. Lavender reminds you to take time to nurture yourself physically, emotionally and spiritually during this time. She allows you to forgive yourself for things left unsaid or undone. Lemon helps clear your mind so that you can think clearly. Often at this time you will be feeling confused or unable to think clearly. She will also help uplift you mentally and emotionally. Don’t apply to skin that will be exposed to sunlight within 24 hours as lemon is phototoxic. Linden blossom brings love and oneness to your heart and a respect for others and yourself especially when others seem not to care. Marjoram can bring a sense of comfort and stop those anxious and what if thoughts that seem to be going on in your mind on a non-stop loop. She can help you accept your loss. Myrrh brings a sense of inner stillness and peace that helps to ease your sorrow and grief and your feelings of loss and rejection. 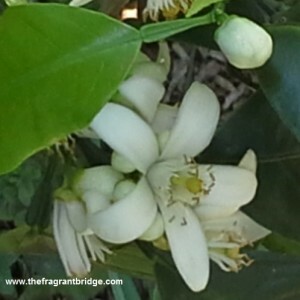 Neroli helps to bring a sense that things will get better. 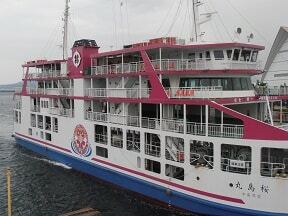 She eases emotional exhaustion and helps bring unexpressed anger and feelings of denial to the surface. Rose allows you to have compassion for the situation, person or yourself and to let go with love. Sandalwood can help you cut your ties with the past and move through your feelings of loss and isolation. She can bring a sense of clarity and moments of stillness. Vetiver helps to ground you offering you support and strength during this time of loss. Ylang Ylang helps calm feelings of anger and frustration and brings a sense of tranquillity. She has a very strong aroma so only a very little is needed. Look through the list and choose one to three oils that seem to resonate with how you are feeling. Either use the oils singly or in a blend in any of the following. Vaporize 3 or 4 drops in a diffuser or oil burner to scent the room. 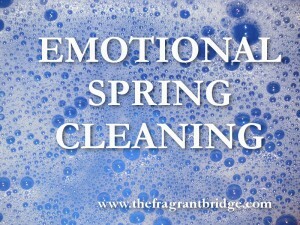 A grapefruit and frankincense blend will work well here when you want to cleanse the room of heavy emotions and help you breathe deeper and easier. Room or body mists. Add 50 mls of purified water or hydrosol to a 100ml coloured spray bottle then add 30 drops of your essential oil blend and fill the bottle with another 50 mls of water or hydrosol. Replace the top and shake the bottle before each use. You can use this to spray a room but be careful not to get on your furniture, spray on yourself or spray the area in front of you and walk through the mist to cleanse or heal your aura. Inhalation. Put some cottonballs in a small bottle and add 3 drops of essential oil. Close the lid and take with you to sniff when you need the oils help. You can also place a couple of drops on a handkerchief to take with you or place under your pillow at night to help you sleep if you prefer. You can also use a personal inhaler. Add 4 to 6 drops to some full fat milk and add to your bath. The milk allows the oils to disperse in the water rather than sit on top. Make a massage blend using 4 to 5 drops in 10mls of vegetable oil to massage your tight neck and shoulders. A gentle hand massage may also be considered. You could also use the blend on your chest to help move the grief through your lungs and sleep at night. In addition you may want to wear a rose quartz pendant. You could also place a small tumble stone in the vegetable oil you set aside to make your blend for a few hours so it can absorb the energies of the rose quartz. Rose quartz is well known as a stone of compassion and love that opens the heart chakra allowing deep inner healing so that you are able to let the person/ situation go with love. Finally take time out to be with friends, go for walks and talk about your loss. Nourish yourself physically as well as emotionally and spiritually. If it is your partner, relative or friend who has experienced a loss simply be there to listen and offer a shoulder to cry on. 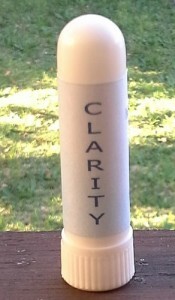 If you would like a personalised grief inhaler or massage blend feel free to send me an email to discuss your needs. 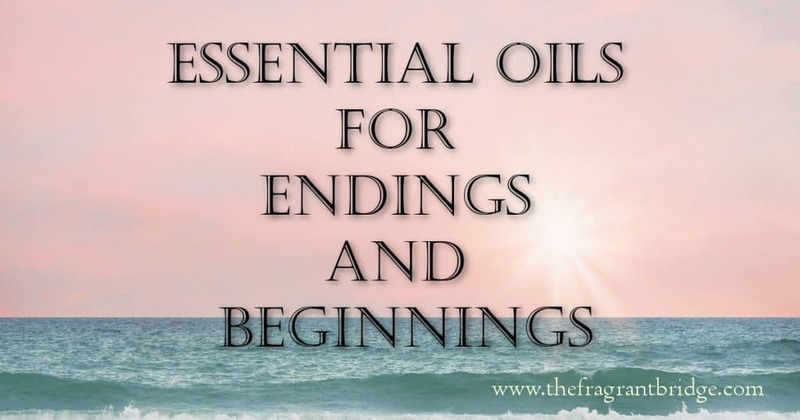 This entry was posted in Essential Oils and tagged change, cypress, geranium, grief, lavender, loss, massage blends on October 21, 2015 by Carole Hodges. Anxiety is a mild form of fear where we react to a perceived threat. Fear is a necessary aspect of our lives as it alerts us to real danger and gives us a sense of self-preservation. On the other hand anxiety is a reaction to an emotional threat that we don’t want to face such as grief, anger, embarrassment, perceived failure or guilt. Anxiety is our reaction to these emotions we believe will cause us harm and can manifest as a lack of self-confidence, a sense of apprehension or a feeling of insecurity or emotional unease. 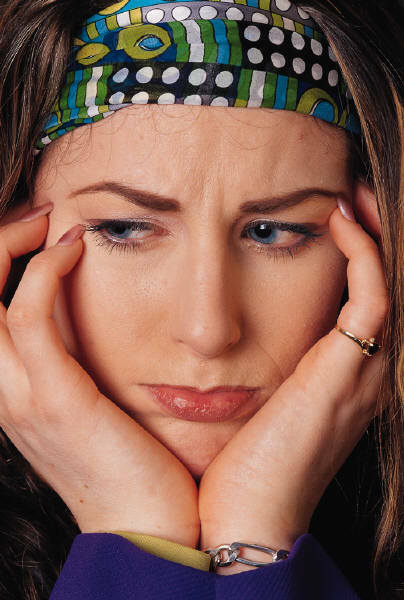 Some short term anxiety is natural as in the case of exam nerves or going for a job interview. 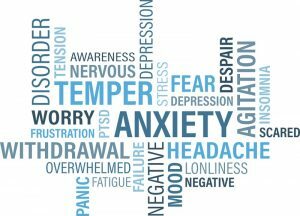 Anxiety is only an issue when it becomes chronic or escalates into an acute state such as panic attacks where there is no real physical danger in most cases. For many people anxiety is a future-oriented mood state in which they imagine all the negative scenarios and how they will react to them. For many this is a coping mechanism to deal with upcoming difficult situations or events. We don’t usually feel anxious if we are envisioning a positive outcome. 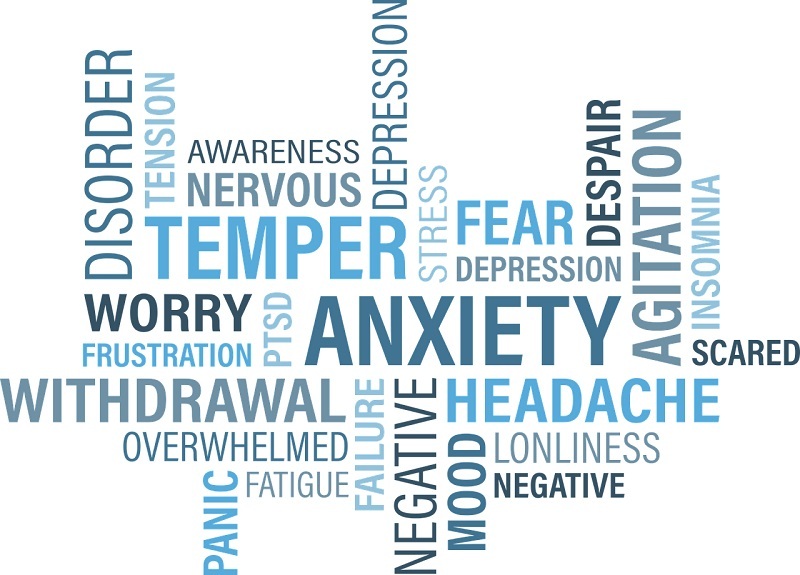 Anxiety may manifest physically as an elevated heart rate, heart palpitations, shortness of breath, upset stomach, diarrhoea, muscle tension, headaches, tiredness and difficulty falling or staying asleep. Tap into your wise all-knowing self. Sit quietly and ask if this is a situation you really need to worry about or can you trust that all will be fine. Nourish yourself by eating well, exercising, getting enough sleep, maintaining healthy relationships, spending time in nature or the outdoors and doing the things that bring you joy. Essential oils help you to relax as they go straight to the limbic brain the centre of our basic emotions and calm it down. They ground and calm you bringing you back to your body. You can try meditating with essential oils, vaporising them, using them in the bath or as a spray mist in your aura or on your physical body. 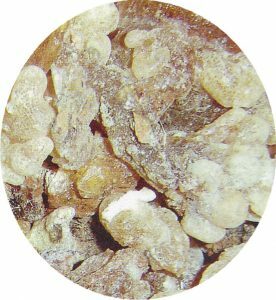 Frankincense (Boswellia carterii) deepens and slows the breath calming and centring the mind. She is particularly useful when the mind is overwhelmed by thoughts of what can go wrong. Frankincense will help you to access your wise all- knowing self allowing insight into your anxiety. 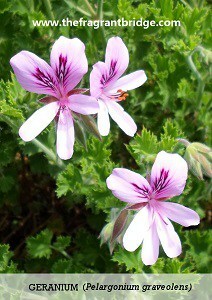 Geranium (Pelargonium graveolens) is a balancing oil useful for anxiety and panic attacks. Overachievers and perfectionists who worry about the outcome or not being good enough can benefit from this oil. 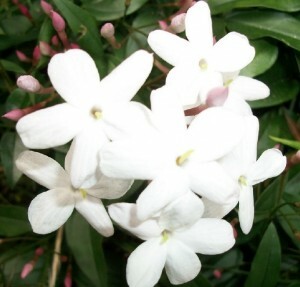 Jasmine (Jasminum officinalis) calms the nerves, releases tension and uplifts the mind. Jasmine can be of particular benefit when anxiety alternates with depression. Lavender (Lavandula officinalis/angustifolia/vera) is an oil that is readily available and is known as an aromatic “Rescue Remedy”. She eases nervous tension and can help ally feelings of panic as well as calm any strong emotions that threaten to overwhelm the mind. Marjoram (Origanum marjorana) calms the mind when thoughts are going round and round in circles. She offers a sense of self nurturing especially when you are thinking that nobody cares. 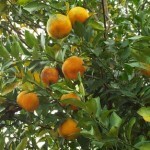 Neroli (Citrus aurantium var. amara) reminds us that we always have a choice. She helps us to face painful emotions such as guilt, shame, hurt and anger and to find peace of mind once we have done so. Rose (Rosa damascena) can assist those who suffer from deep anxiety caused by insecurity and a fear of losing control. Rose helps to heal deep emotional wounding and despair. 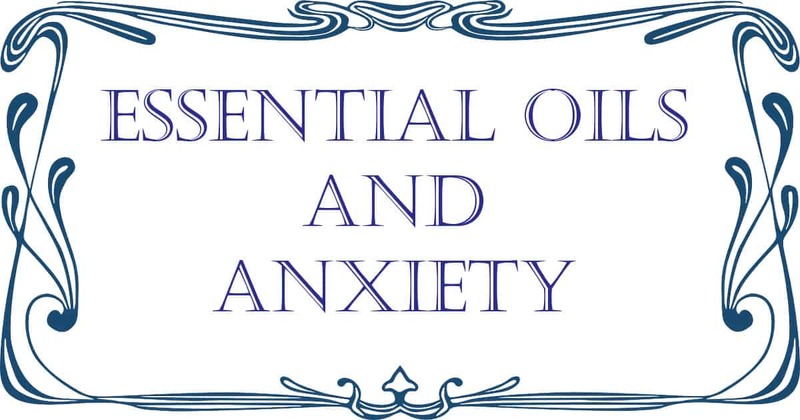 This entry was posted in Essential Oils and tagged anxiety, colds, digestive problems, emotional pain, frankincense, geranium, headaches, inner guidance, jasmine, lavender, marjoram, meditation, neroli, rose on October 7, 2015 by Carole Hodges.